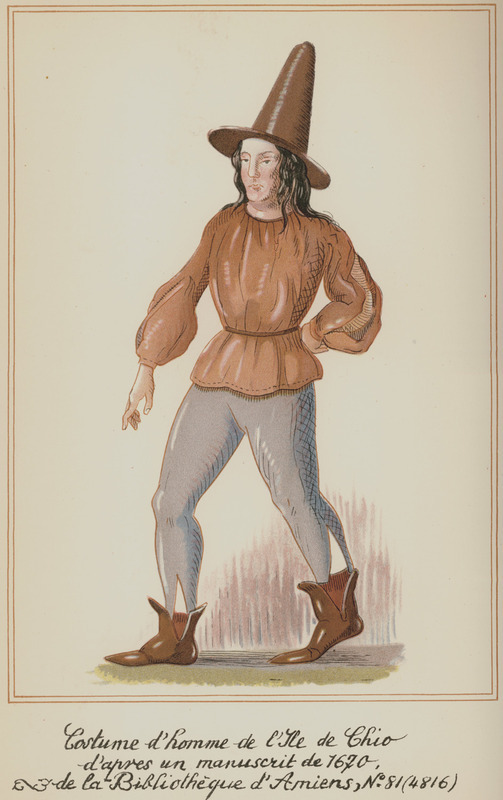 Horace Vernet as he was dressed during his voyage. 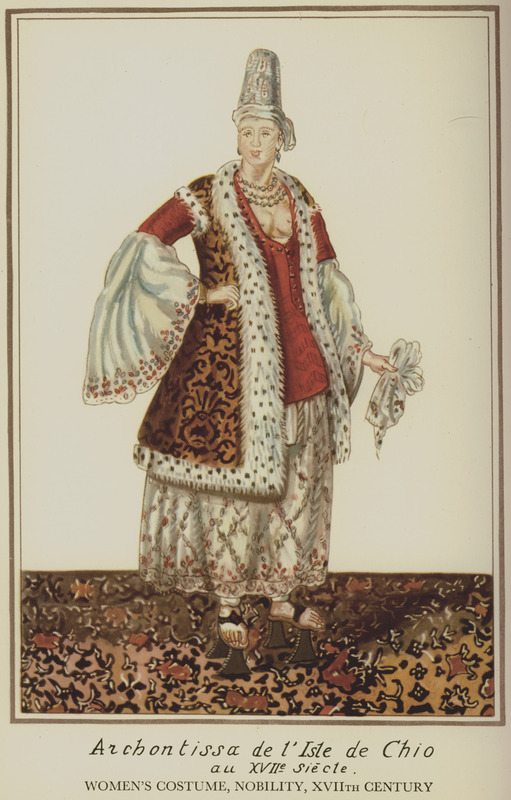 Men's, women's and child's costumes from Nenita (Chios), 17th century: Fresco from the church of Panagia Kyra Velidaina. 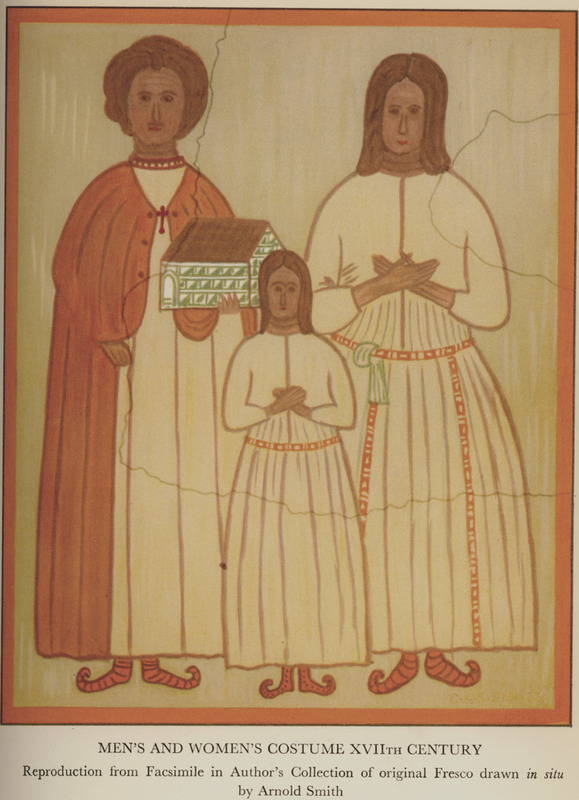 Reproduction from facsimile in author's collection of original fresco drawn in situ by Arnold Smith. 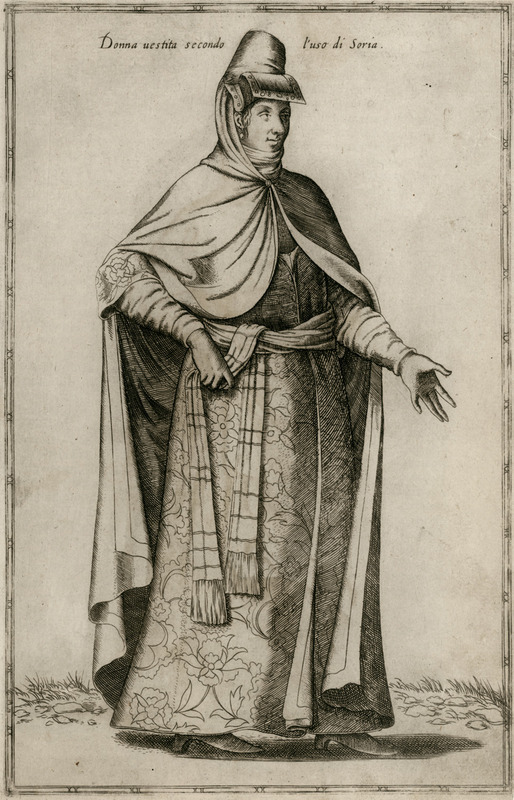 Men's costume from Chios, 1670. 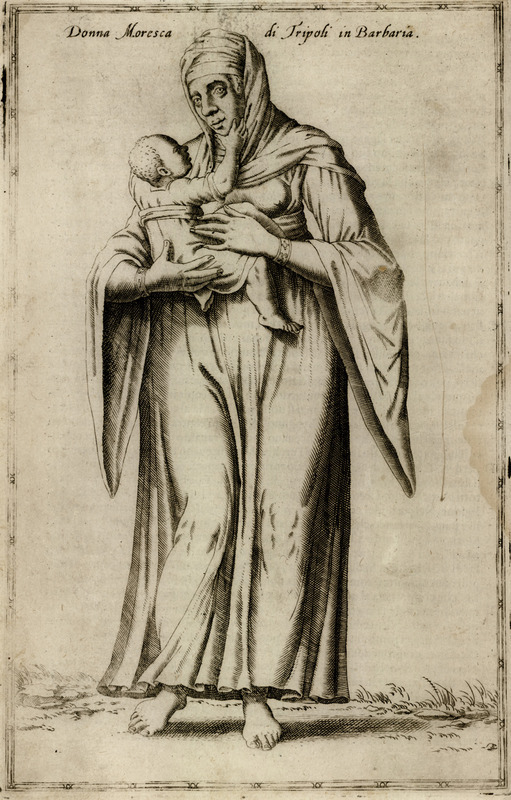 From anonymous manuscript belonging to the library of Amiens (1667-1670). 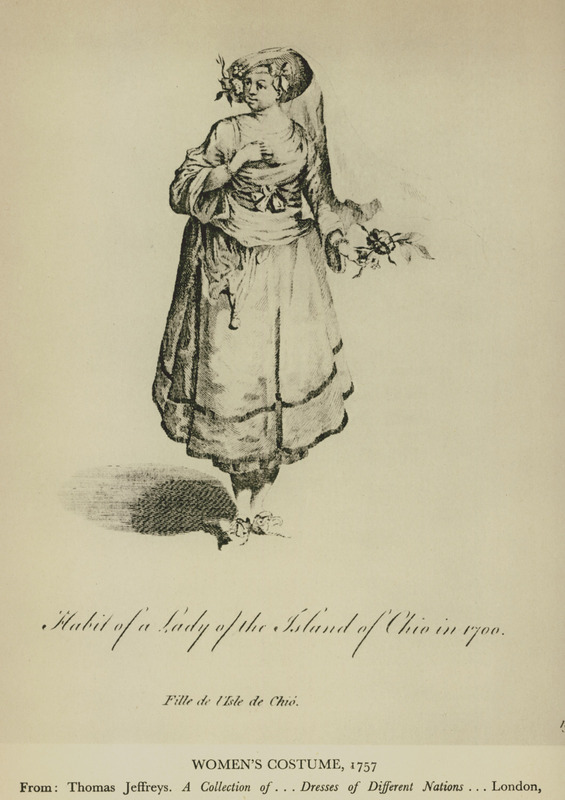 Copy in author's collection. 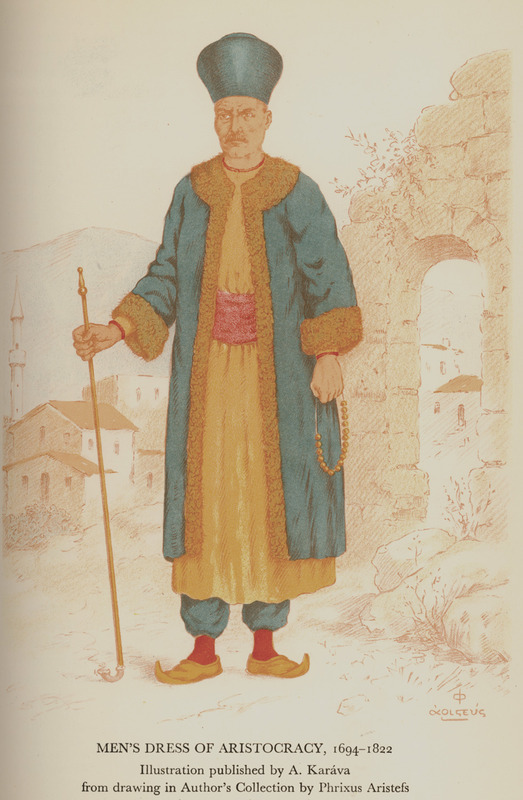 Nobleman's costume from Chios (1694 - 1822). 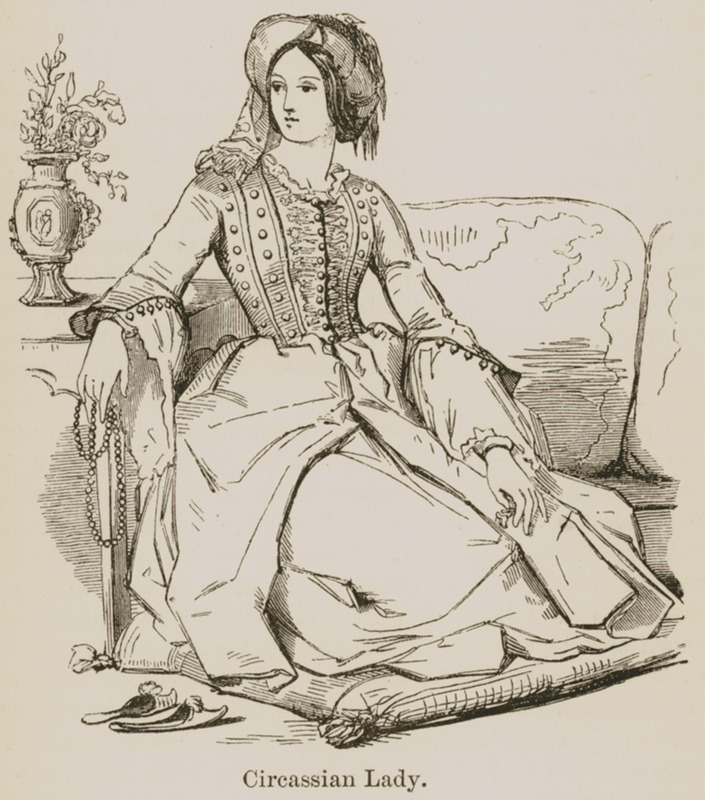 Illustration published by A. Karavas; drawing by Phrixus Aristefs, in author's collection. 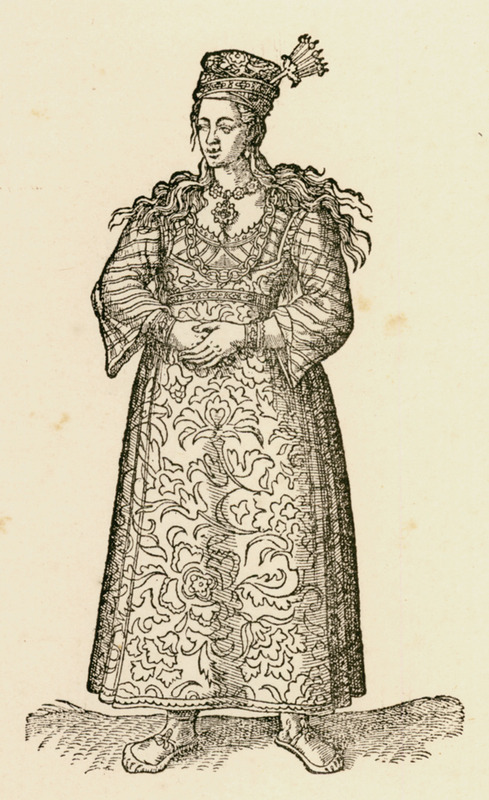 Noblewoman's costume from Chios, 17th century. 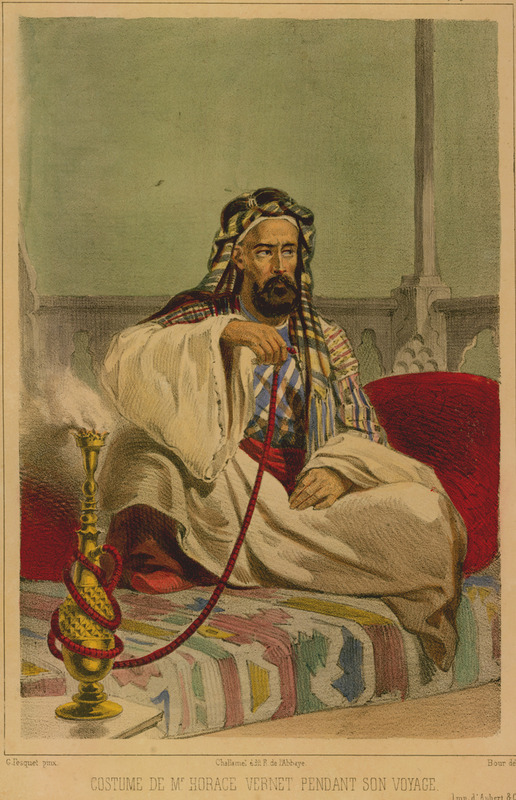 From collection belonging to Bibliothéque National de Paris: Od. 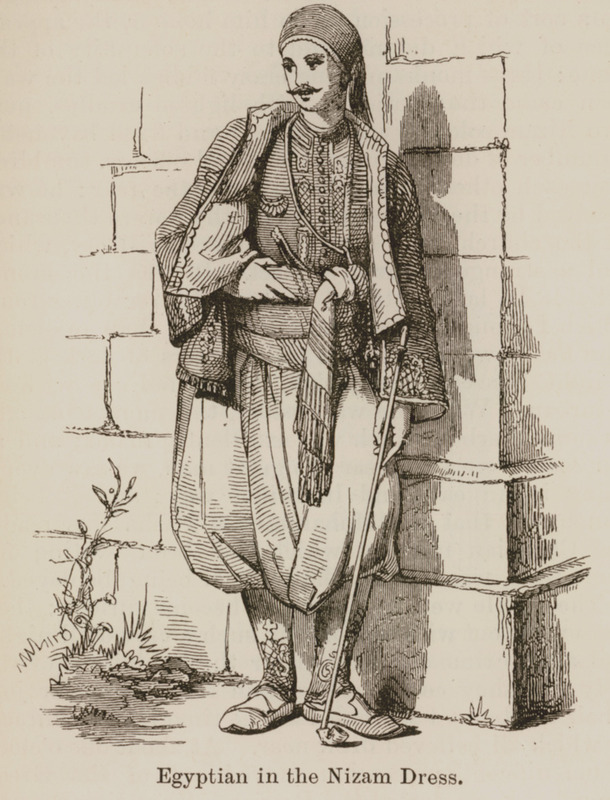 29, Grèce Moderne, Costumes et Moeurs. 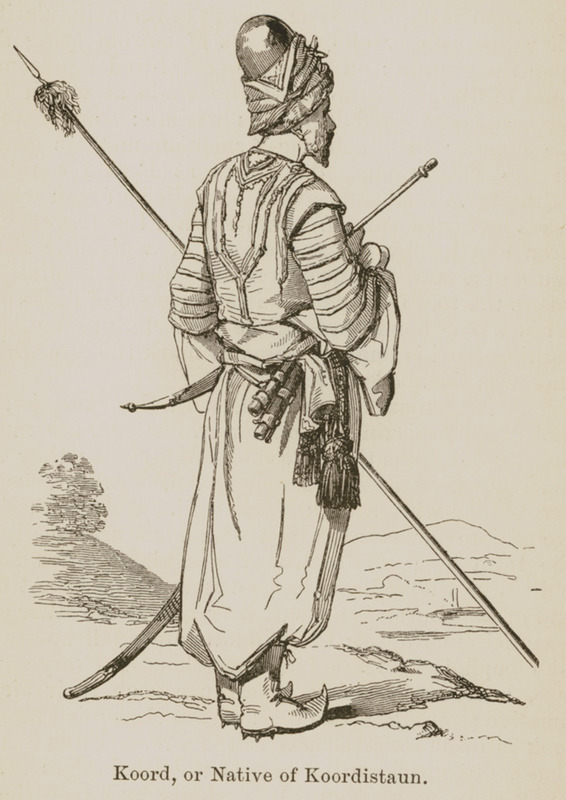 Empire d'Orient. 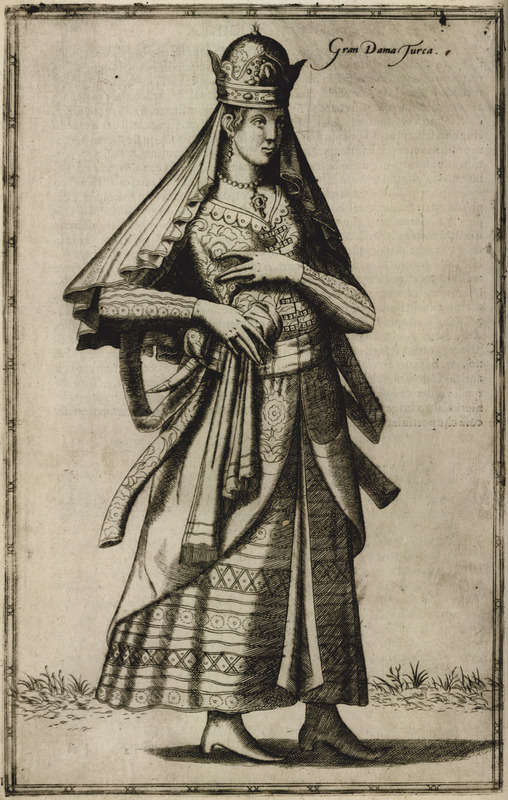 Women's costume from Chios, 1714. 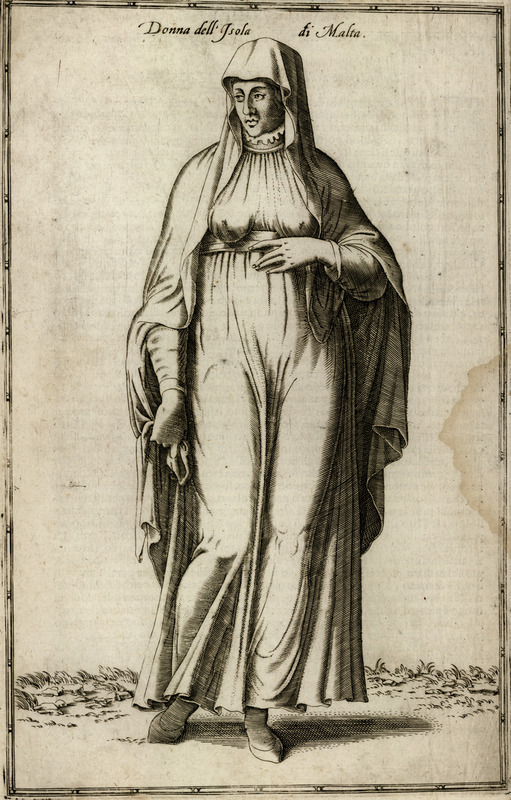 From: [Jean Baptiste Van Mour] “Recueil de cent Estampes representant differentes Nations du Levant…”, Paris, 1714. 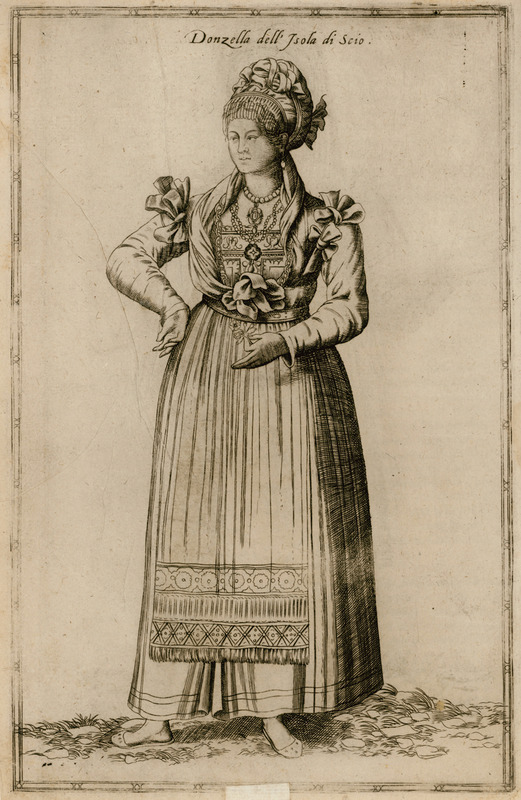 Women's costume from Chios, 1757. 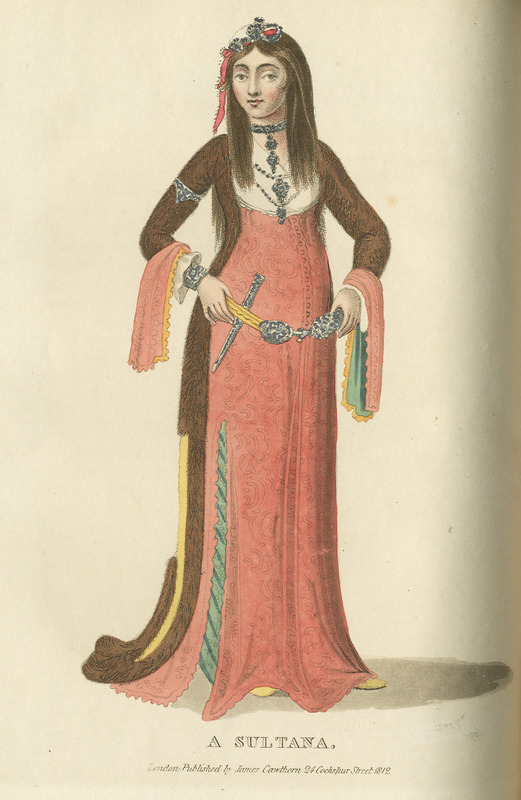 From: “A Collection of the Dresses of different Nations…”, London, M.DCC.LVII . 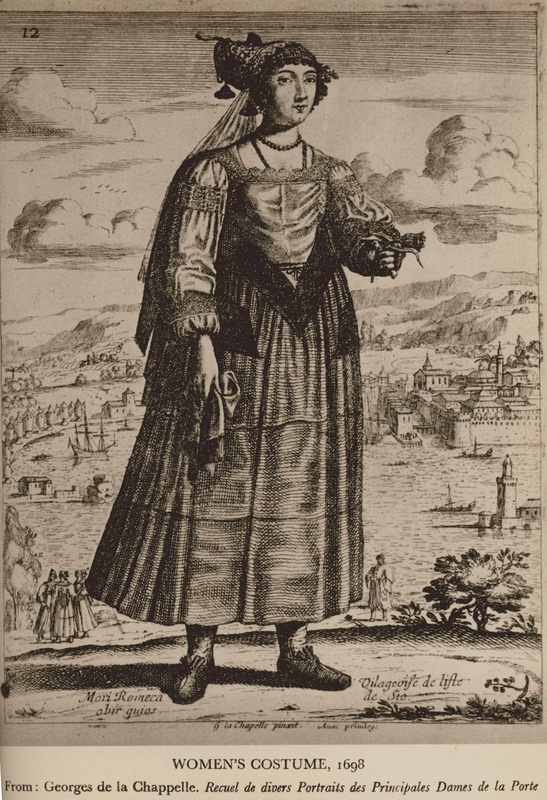 Women's costume from Chios, 1698. 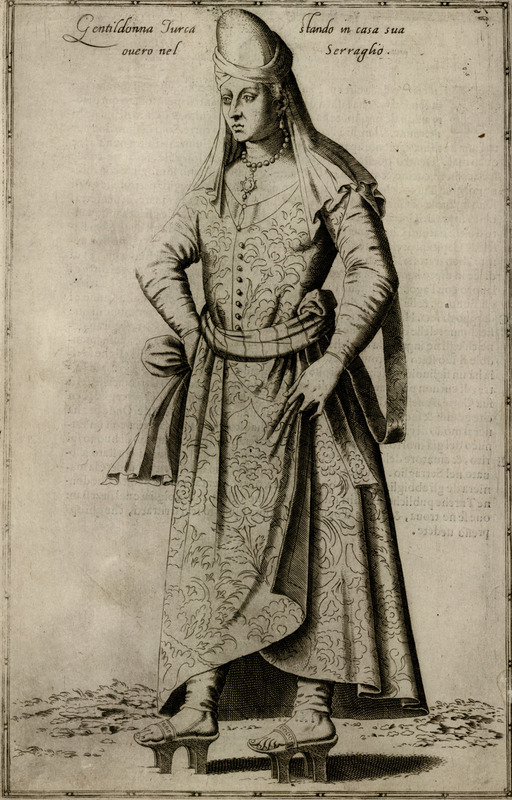 From: Georges de la Chapelle, “Recueil de divers Portraits des Principales Dames de la Porte du Grand Turc.”, Paris, 1648. 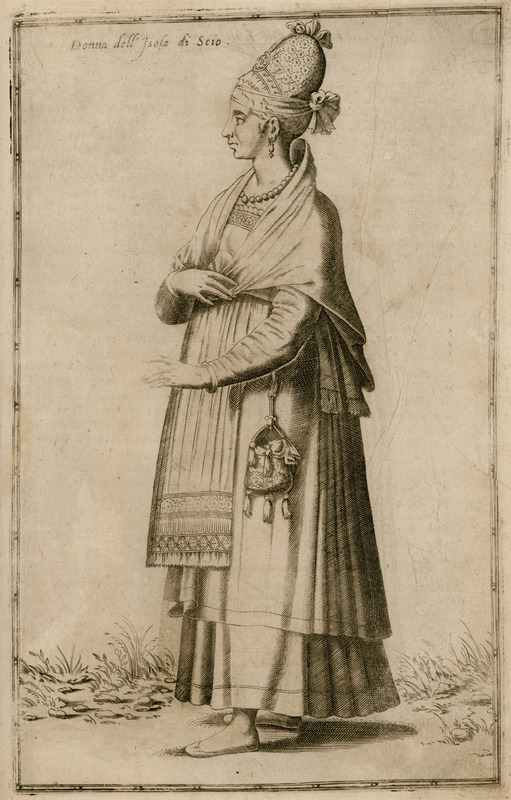 Women's costume from Chios, 1738. 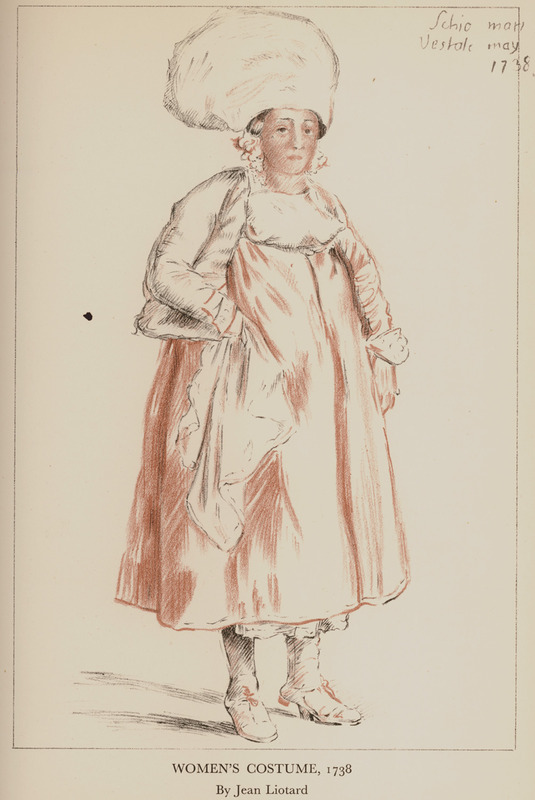 Drawing by Jean Liotard, Louvre museum, R.F. 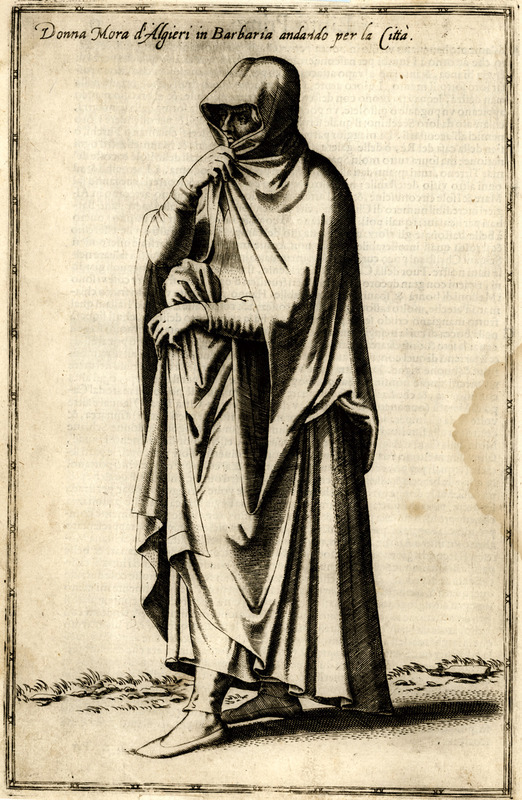 1376. 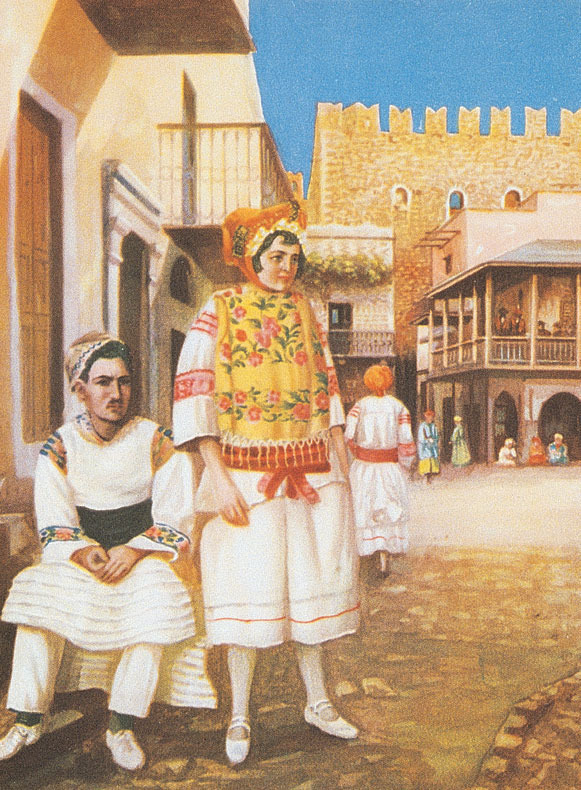 Costumes from Pyrgi, Chios. 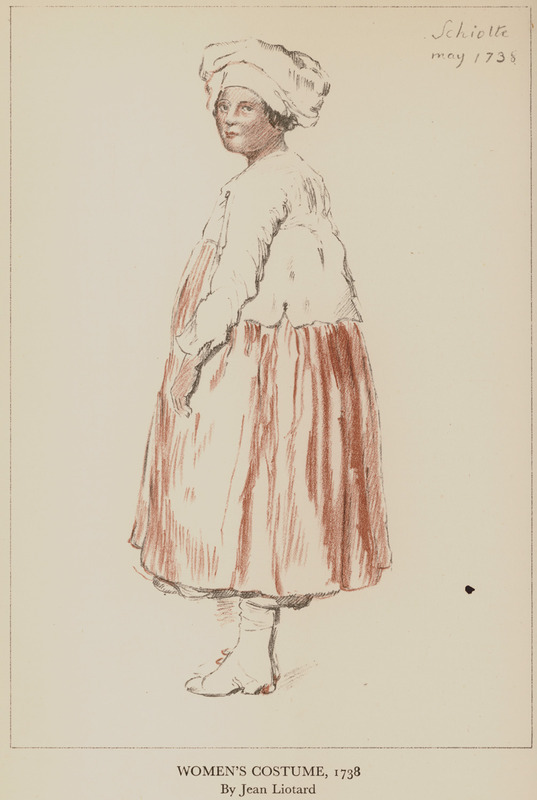 Original gouache in author's collection. 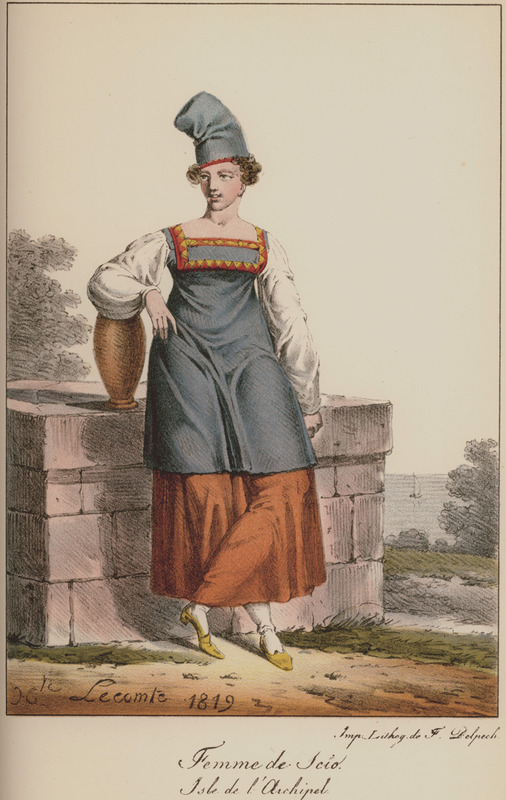 Women's costume from Chios, 1819. 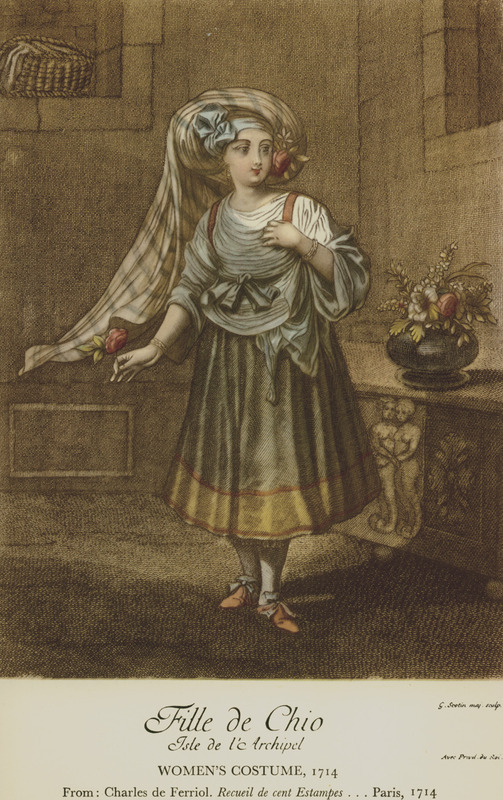 Original water-colour in author's collection. 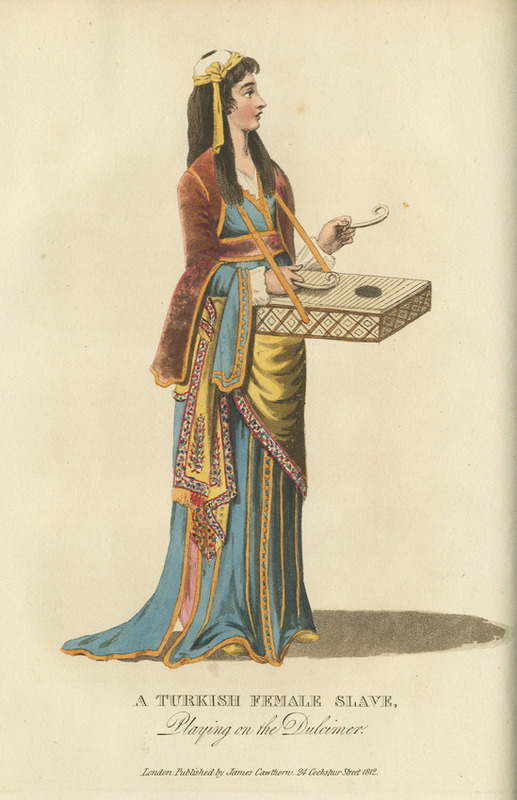 Egyptian in the Nizam dress. 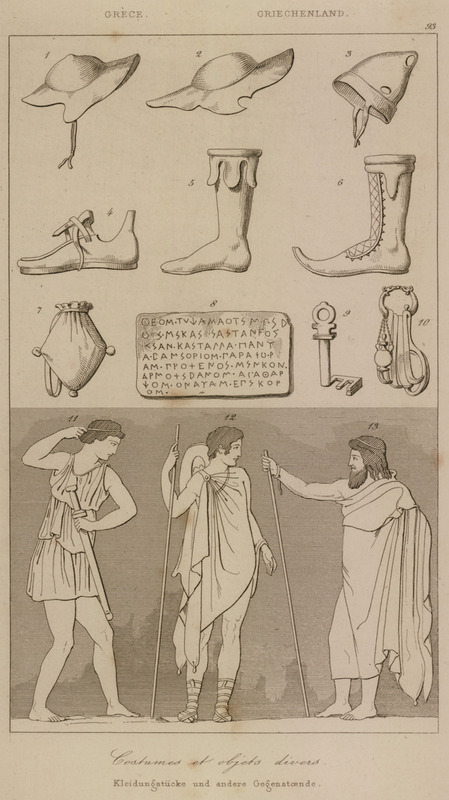 Ancient Greek costumes, pilei (caps), footwear, pouch, key, case containing strigil, oil and other bath accessories. 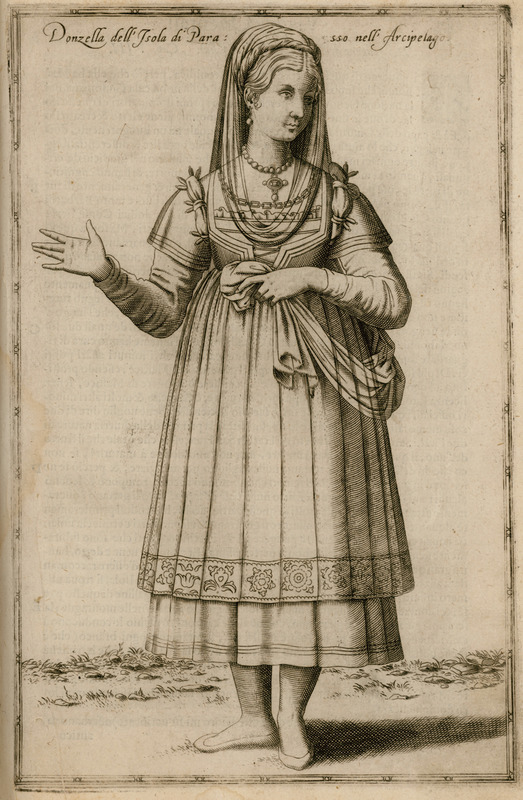 A Greek lady in her walking dress. 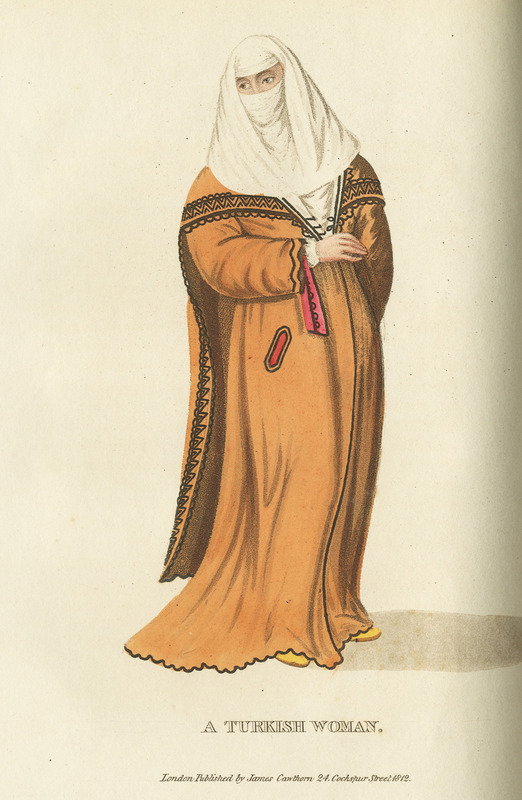 Woman from Algiers on her way to the market place.